It’s been so long since I’ve done a Fangirl Friday! And this one is overdue, but I’m still excited to share my excitement frorm meeting Susan Dennard in person once again and geeking out over the Witchlands series! Plus bonus: pics from the FaeCrate Hangover Kit for Bloodwitch, which was fantastic!! Anyway, here’s all the books that released in March that I’m excited about! Geez, it’s been awhile since my last post! Life has gotten really busy, and I haven’t had much free time lately. Because of that, I’ve received many wonderful things in the mail that I want to share! Here’s the result of some wonderful trades, contest winnings, and a few BookOutlet purchases. Not sure that I’ll be able to do this luscious book justice, but I will try with fervent desire. Because this masterpiece deserves wordsmithing. All of the wordsmithing. I read and enjoyed Truthwitch a few years ago, just before Windwitch released. And then, didn’t read any further. There are many reasons for this, but I think the biggest was the worry that I would be so invested in the characters that not having the next book ready to read would be devastating. (Now, that didn’t stop me from purchasing multiple copies of each book, giving them to friends, and hooking other people on the series while I was waiting.) But my unspoken fear has been realized! 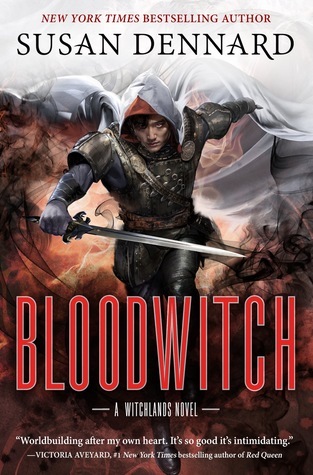 So, I need all of you to read all 3 books, and don’t forget the very important novella, which fits right between Windwitch and Bloodwitch. Because it is VERY IMPORTANT!! I cannot stress this enough! And then talk about it with other people. And maybe me. Because I have all the feels! So many books, so little time! Here’s another catch-up post with new additions to my collection. Starting with the last package I received from Round 9 of OTSP Secret Sister. I don’t remember sharing this one, and it was full of awesome. If I have shared this one before, well, I’m just excited! 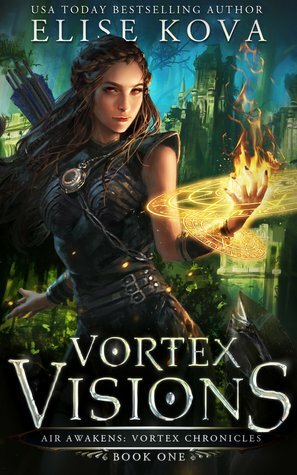 I want to start this review by saying that I have only read Air Awakens of the previous 5 book series, and that was a couple of years ago already. But I have been following the author on Facebook for years, and recently finished (Finally!) reading the Loom Saga (look for that review very soon), which led me to request a digital ARC of the follow-up sequel series. And I’m very glad to report that it was excellent!! I wanted to pick this book up before catching up on the original series so that my review might convince new readers less hesitant to pick it up. The situation almost reminds me of how I read the Tortall world out of chronological order. Having started with The Immortals I was ecstatic to discover that there were more stories that covered some “side” characters set in the same world. I was happy to go back and learn more about them and their adventures! The cover art is gorgeous!